UPDATED: Mia Farrow, Whoopi Goldberg and Kristin Chenoweth were among the stars remembering the “Good Ship Lollipop” performer. 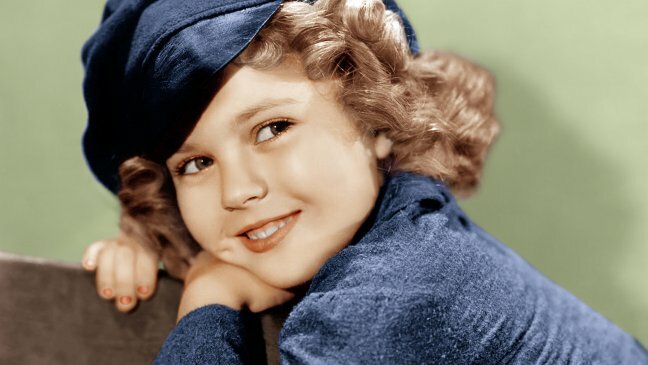 Legendary singing-and-dancing child star Shirley Temple died Monday night of natural causes in her Woodside, Calif., home, surrounded by her family and caregivers. Temple’s Bright Eyes co-star Jane Withers was shocked and distraught when she learned of Temple’s death, tellingThe Hollywood Reporter she was just thinking the other day that she should call Temple. Although Withers and Temple were rivals in the 1934 film, they later became friends and Withers told THR she would call Temple on her birthday every year since the film and after introducing herself with her Bright Eyes character name, Joy Smythe, Withers would sing “Happy Birthday,” replacing the last line with “You know I love you,” and the two would then laugh and talk. Temple received the Screen Actors Guild’s Life Achievement Award in 2006 but stayed out of public life in her later years. Temple spent most of her film career making movies for Fox. The studio’s current CEO Jim Gianopulos released a statement addressing her legacy. Actress June Lockhart remembered when Temple joined the Westlake School for Girls in Holmby Hills as a freshman after she parted ways with Fox. It was “her first experience with other students, as she was tutored at the studio earlier,” Lockhart said. “We became friends, and she was great fun. “It was Shirley’s first time with a uniform dress code, and no lipstick was allowed. She joined the drill team, and I was the captain. While we were at Westlake, we did the film Miss Annie Rooney, and Shirley had her first screen kiss onscreen. Temple’s death was a hot topic on Tuesday’s The View, with Whoopi Goldberg, who previously tweeted her thoughts about Temple, revealing that she has a flipbook of Shirley Temple that she keeps on her desk at home. Barbara Walters also recalled idolizing Temple. Others took to Twitter and Instagram to mourn the former child star with Mia Farrow, Kristin Chenoweth and Miley Cyrus among those who shared their remembrances. The Good Ship Lollypop has sailed today with Shirley Temple aboard a true 1 of a kind. If you don’t know her.. google or YouTube her. R.I.P. RIP SHIRLEY TEMPLE …a legendary child star and wonderful diplomat. 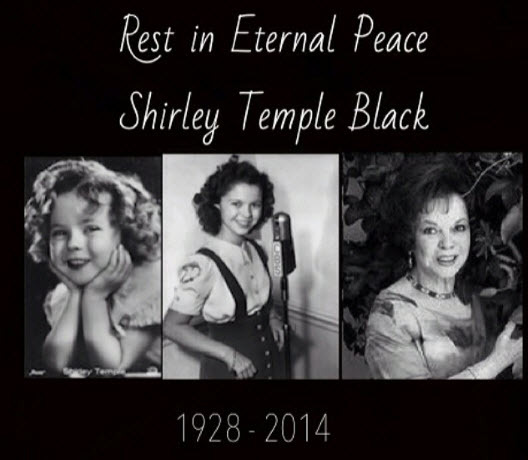 RIP Shirley Temple Black. Thank you for the smiles, laughs, and happy memories. My first acting inspiration. Shirley Temple. Rest in peace.